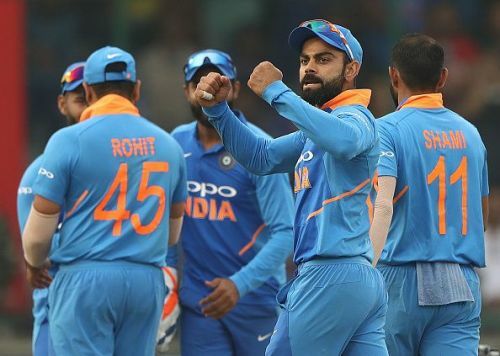 The Indian cricket team went into the recent ODI and T20 series after having successful outings against Australia and New Zealand at their home. This series was viewed as a chance for India to fine-tune the ODI team before the World Cup 2019, but the series loss against Australia has led to more questions than answers. The problem of the No. 4 position does not seem to end. India went into the series with Ambati Rayudu as the best candidate for the position, but his return of 33 runs in 3 matches with a overall strike rate of 59 seems to have compounded the problems heading into the World Cup. In the last two matches India tried Virat Kohli and Rishabh Pant at that position, but they were not great either. With India's next match being directly at the World Cup, the management does not have many options but to stick with Rayudu in this position as he has batted for four series there. Will he be able to perform well in this position? That is the million dollar question. India played most of the matches with four front-line bowlers and hoped that Kedar Jadhav and Vijay Shankar would make up the 5th bowler's quota. Even though Shankar won India the 2nd ODI by defending 11 runs in the final over, Australia managed to play both him and Jadhav in better fashion as the series progressed. That put pressure on the front-line bowlers to take wickets regularly. And when they failed to do so, Australia managed big partnerships which helped them win the Mohali ODI by chasing a mammoth score of 359. When Hardik Pandya is injured, it shows that the Indian team lacks the balance of the all-rounder who gives 10 overs and can bat. Even though Ravindra Jadeja can give you 10 overs, his batting nowadays does not inspire much confidence. Thus, it is very essential for Hardik Pandya to be fit and in form for India's chances in the World Cup. The trio of Bhuvneshwar Kumar, Jasprit Bumrah and Mohammed Shami are set to be the front-line pacers for the World Cup. But given the chances of injuries to the pacers, a backup seamer is a must for the squad. No other pacer that has played in recent times has generated the confidence of leading the attack in the absence of the trio. India have tried Khaleel Ahmed, Umesh Yadav and Mohammad Siraj, but the returns of all the three have not been great. India has to ponder long and hard over the fourth seamer problem as well.